Rise safe with this turntable. 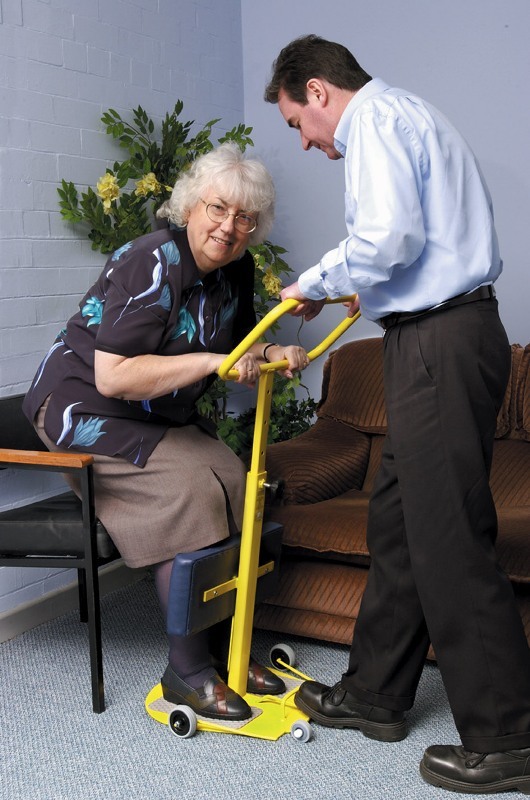 With the aid of the The Rota Stand a person can move from one sitting position to another. 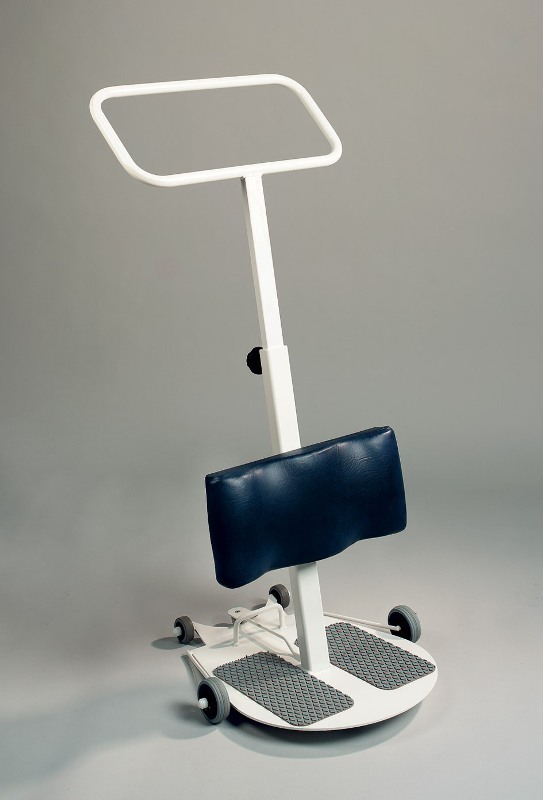 The frame, shin pad, and the turntable provide optimum security for the caregiver and the user. The wheels in the middle allow the caregiver to roll the Rota to the user even if the feet have already been placed.